Being a paranormal investigator is never easy. Take all the problems a private investigator has and throw in the supernatural on top of that. Yup. Never easy, sometimes even quite… deadly. 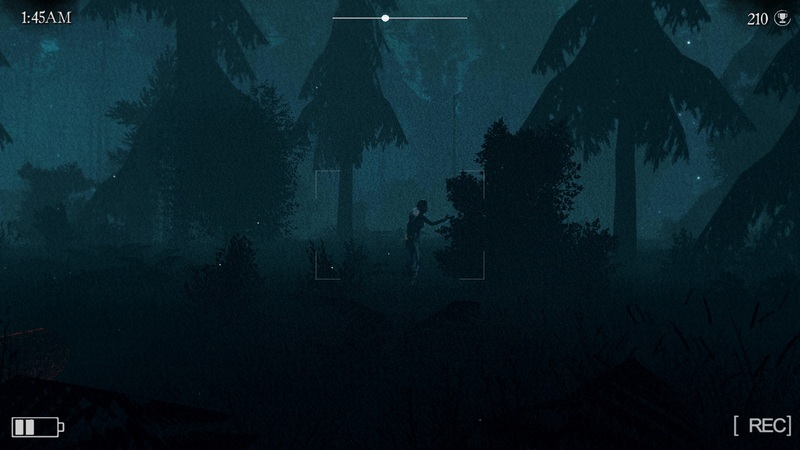 In Apparition, players are going to find out just how dangerous this line of work really is as they go exploring a spooky forest, armed with only a camera. Doesn’t mean they’ll be entirely defenseless, however. Okay so… that last bit was a lie. You literally can not fight back in Apparition, your only choice is to hide, praying whatever lurks out there won’t find you. In spite of that, you do still have an important job to do: documenting whatever you may see, earning points by doing so. Points – and upgrade materials – will be lost upon dying, so don’t get too greedy. Return to the safety of your car before things get out of hand, even if the temptation to continue recording the supernatural until the break of dawn can be alluring. There are terrible stories about this place. They say that if you look hard enough, you will find letters written by people who have lived a nightmare there. To wander around there at night you must be a lunatic – or an ambitious paranormal activity investigator. That said, the more upgrades you acquire, the further into the forest you’ll be able to go, pretty much forcing players to be less safe in their ventures if they want to progress. Whether the system can be gamed through grinding remains to be seen (doing as little as possible before returning to your car to ‘save’, rinse and repeat), but I highly doubt it. Crafting materials do after all come into play, and those need to be acquired on top of points gathered through the lens of your camera. Oh, and you can talk to the dead through a Ouija board. Because the entire thing definitely wasn’t spooky enough already (wait, what?). As for exactly what manner of horrors awaits in the dark forest of Apparition, this Halloween… well, only one way to find out! Apparition will be available on Steam from October 31, carrying a $14.99 price tag.